Try us see. Quality Driving lessons. Who will you trust with your driving lessons? Please call us on 07775 794 661 to start your learning now! Your freedom starts here. Driving lessons Folkestone Dover and Hythe. Helping you pass your driving test soon. Your success is important to us. Intensive driving lessons and 1 week driving courses available. Driving courses tailored to meet your requirements. 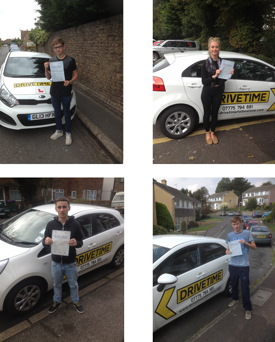 Well done to everyone who passed their driving test! Book your driving lessons today and it could be you soon! 100% dedicated driving instructor. Every driving lesson is tailored to meet the needs of the individual pupil. Working towards your goal of passing your driving test! Driving lessons Folkestone, Dover and Hythe.